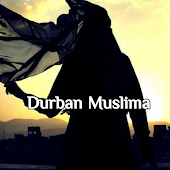 Centrally positioned an muslim owned, this modern hotel is situated opposite the Essenwood Park on Durban's Berea with easy access in and out of Durban and all Durban's superb facilities. Mr Price Kings Park, home of the Sharks, Moses Mabhida Stadium, Sahara Kings Mead, Durban beaches, The Wharf & all major malls. For golfers Durban Country Club and Royal Durban Golf Club are within easy reach as is Greyville Race Course home of the Durban July.